From the Front Porch: The Power of One! Sometimes, when we are beset with life’s troubles, it’s easy to imagine that we face them alone. 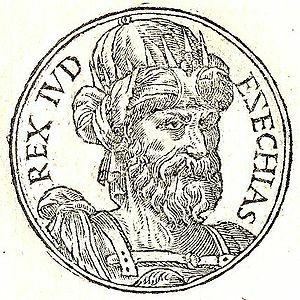 In the Bible, there is a story about good King Hezekiah who learned that Sennacherib, the Assyrian King, was planning to sack Jerusalem. Now Hezekiah was no fool. He knew he was severely outnumbered by the Assyrian troops. He made all the necessary preparations to defend Jerusalem. When the Assyrian King wrote a letter to the people telling them to give it up because they would be destroyed, King Hezekiah encouraged the people to be strong and have courage, for the power of God is mightier than the power of the greatest army on the face of the earth. That’s a good thing for us to remember — when we face a sea of trials and troubles, the power of ONE is greater than our greatest troubles.